1Incorporated in California in 1968, reincorporated in Delaware in 1989. Intel Corporation (NASDAQ: INTC; SEHK: 4335) is the world's largest semiconductor company and the inventor of the x86 series of microprocessors, found in most personal computers. Integrated Electronics Corporation was founded by semiconductor pioneers Robert Noyce and Gordon Moore, on July 18, 1968, and rose to dominance under the executive leadership and vision of Andrew Grove. Based in Santa Clara, California, USA, Intel also makes motherboard chipsets, network cards and ICs, flash memory, graphics chips, embedded processors, and other devices related to communications and computing. Intel combines advanced chip design capability with reliable manufacturing facilities. Originally known primarily to engineers and technologists, Intel's successful "Intel Inside" advertising campaign during the 1990s made it and its Pentium processor household names. Intel was an early developer of SRAM and DRAM memory chips, which represented the majority of its business until the early 1980s. Intel created the first commercial microprocessor chip in 1971, but it was not until the success of the personal computer (PC) that this became its primary business. Intel’s research objective is to introduce a new microarchitecure every two years. During the 1990s, Intel’s investment in new microprocessor designs fostered the rapid growth of the PC industry. During this period Intel became the dominant supplier of microprocessors for PCs, and was known for aggressive and sometimes controversial tactics in defense of its market position, as well as a struggle with Microsoft for control over the direction of the PC industry. In addition to its work in semiconductors, Intel has begun research in electrical transmission and generation. Intel was founded in 1968 by Gordon E. Moore (a chemist and physicist) and Robert Noyce (a physicist and co-inventor of the integrated circuit) when they left Fairchild Semiconductor. Intel's third employee, a chemical engineer named Andy Grove, also came from Fairchild Semiconductor. Grove, who became Intel's president in 1979, its CEO in 1987, and its Chairman and CEO in 1997, is credited with transforming Intel from a manufacturer of memory chips into one of the world's dominant producers of microprocessors. During his tenure as CEO, Grove oversaw a 4,500% increase in Intel's market capitalization from $18 billion to $197 billion, making it, at the time, the world's most valuable company. Intel’s first products were shift register memory and random-access memory integrated circuits. During the 1970s, as it expanded and improved its manufacturing processes and produced a wider range of products, Intel grew to be a leader in the fiercely competitive DRAM, SRAM, and ROM markets throughout the 1970s. On November 15, 1971, Intel introduced the first microprocessor, the Intel 4004, invented concurrently by Intel engineers Marcian Hoff, Federico Faggin, Stanley Mazor and Masatoshi Shima. Originally developed for a calculator produced by the Japanese company Busicom, the microprocessor did not become the core of Intel's business until the mid-1980s. (Note: Intel is usually given credit with Texas Instruments for the almost-simultaneous invention of the microprocessor.) Intel also created one of the first microcomputers in 1972. By 1983, increased competition from Japanese semiconductor manufacturers had dramatically reduced the profitability of this market, and the sudden success of the IBM personal computer inspired then-CEO Grove to shift the company's focus to microprocessors, and to change fundamental aspects of its business model. Intel determined to become the single source for successors to the popular 8086 microprocessor. While the manufacture of microprocessors was in its infancy, manufacturing problems had frequently reduced or stopped production, interrupting supplies to customers. To mitigate this risk, these customers typically insisted that the chips be produced by multiple manufacturers to ensure a consistent supply. The Intel 8080 and 8086-series microprocessors were produced by several companies, including Zilog and AMD. In 1983, Intel ceased licensing its chip designs to competitors, producing them instead in three geographically distinct factories in Santa Clara, California; Hillsboro, Oregon; and Chandler, Arizona. In 1984, the Intel 80286 microprocessor was used in the IBM PC/AT. Compaq produced a desktop system based on the faster 80286 processor in 1985, quickly followed in 1986 by the first 80386-based system, establishing a competitive market for PC-compatible systems and setting up Intel as a key supplier of components. At the end of the 1980s, Intel embarked on a 10-year period of unprecedented growth as the primary (and most profitable) supplier of hardware to the PC industry. Intel introduced the 486 microprocessor in 1989, and in 1990 formally established a second design team, designing processors code-named "P5" and "P6" in parallel and committing to the launch of a major new processor every two years, instead of every four years. The P5 was introduced in 1993 as the “Intel Pentium,” substituting a trademarked brand name for the former part number. (Numbers, like 486, cannot be trademarked, and both IBM and AMD manufactured processors popularly known as the “386” and “486.”) The P6 followed in 1995 as the Pentium Pro and was improved into the Pentium II in 1997. New architectures were developed alternately in Santa Clara, California and Hillsboro, Oregon. In 1993, the Santa Clara design team embarked on a successor to the x86 architecture, code named "P7." The first attempt was dropped a year later, but quickly revived in a cooperative program with Hewlett-Packard engineers, led by Intel. 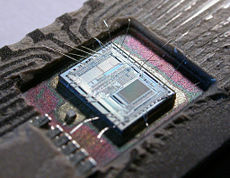 The resulting 64-bit architecture was implemented as the Itanium, finally introduced in June 2001. The Itanium's performance did not achieve expectations running legacy x86 code, and it failed to effectively compete with 64-bit extensions to the original x86 architecture, first from AMD (the AMD64), then from Intel itself (the Intel 64 architecture, formerly known as EM64T). In March, 2005, Intel announced that it was working on a new Itanium processor, codenamed "Tukwila," which would have four processor cores In November 2005, the major Itanium server manufacturers joined with Intel and a number of software vendors to form the Itanium Solutions Alliance to promote the architecture and accelerate software porting. The Alliance announced that its members would invest $10 Billion in Itanium solutions by the end of the decade. In 2006, Intel launched Montecito, a dual-core processor that roughly doubled performance and decreased energy consumption by about 20 percent. Systems with quad-core Tukwila processors were scheduled to reach the marketplace in early 2009  The Hillsboro team designed the Willamette processor (code-named P67 and P68) which was marketed as the Pentium 4, and later developed the 64-bit extensions to the x86 architecture, present in some versions of the Pentium 4 and in the Intel Core 2 chips. Many chip variants were developed at an office in Haifa, Israel. In June 1994, Intel engineers discovered a flaw in the floating-point math subsection of the Pentium microprocessor. Intel quietly corrected the error in a future chip revision, without making a public announcement. In October 1994, Dr. Thomas Nicely, Professor of Mathematics at Lynchburg College independently discovered the bug, and after receiving no response from his inquiry to Intel, on October 30 posted a message on the Internet. Word of the bug, which was easy for an average user to replicate, spread quickly on the Internet and then to the industry press. During Thanksgiving 1994, a The New York Times article by journalist John Markoff spotlighted the error. Intel publicly offered to replace every faulty chip, and quickly organized a large end-user support organization. The incident cost Intel $500 million, but the media coverage surrounding the "Pentium flaw" incident, and Intel's response to it, made Intel a household name. Together with Intel’s “Intel Inside” marketing campaign, the publicity brought Intel into the public eye and contributed to the company’s success. Intel’s long-running "Intel Inside" campaign, which started in 1991 helped to create international awareness of Intel microprocessors as a key component of PCs. A five-note jingle was introduced the following year, and by its tenth anniversary the jingle was being heard in 130 countries around the world. Intel paid some of the advertising costs of PC companies who included the "Intel Inside" logo or jingle in advertisements for their products. In December 2005, Intel phased out the "Intel Inside" campaign in favor of a new logo and the slogan, "Leap ahead." The new logo is clearly inspired by the "Intel Inside" logo. In 2006, Intel announced that it was dropping the Pentium name from its processors. The Pentium name was phased out from mobile processors first, when the new Yonah chips, branded Core Solo and Core Duo, were released. The desktop processors changed when the Core 2 line of processors were released. In the early 1990s, Intel's Systems Group began manufacturing PC "motherboards," the main board components of personal computers, into which the processor (CPU) and memory (RAM) chips are plugged. Shortly after, Intel began manufacturing fully-configured "white box" systems for the dozens of PC clone companies that rapidly sprang up. At its peak in the mid-1990s, Intel manufactured over 15% of all PCs, making it the third-largest supplier at the time. By manufacturing leading-edge PC motherboard systems, Intel enabled smaller manufacturers to compete with larger manufacturers, accelerating the adoption of the newest microprocessors and system architecture, including the PCI bus, USB and other innovations. This led to more rapid adoption of each of Intel’s new processors. During the 1990s, the Intel Architecture Labs (IAL) was responsible for many of the hardware innovations of the personal computer, including the PCI Bus, the PCI Express (PCIe) bus, the Universal Serial Bus (USB), Bluetooth wireless interconnect, and the now-dominant architecture for multiprocessor servers. IAL's video and graphics software was important in the development of digital video software, but later its efforts were largely overshadowed by competition from Microsoft. The competition between Intel and Microsoft was revealed in testimony by IAL Vice-President Steven McGeady at the Microsoft antitrust trial. The successive release of Microsoft Windows operating systems, each requiring significantly more powerful processors, also contributed to the rapid adoption of Intel's processors during this period. The releases of Windows 95, Windows 98 and Windows 2000 provided impetus for successive generations of hardware. After 2000, growth in demand for high-end microprocessors and PCs slowed. Consumer systems ran effectively on increasingly lower-cost systems. Competitors garnered significant market share, initially in low-end and mid-range processors but ultimately across the product range, eroding Intel's dominance. As microprocessor performance outstripped the requirements of software, Intel's strategy of producing ever-more-powerful processors foundered, leaving an opportunity for competitors such as AMD. The era of Intel’s unprecedented dominance of the PC hardware market came to an end. Groves’ successor, CEO Craig Barrett, attempted to diversify the company's business beyond semiconductors, but few of these activities were ultimately successful. On June 6, 2005, Apple CEO Steve Jobs announced that Apple would be transitioning from its long-favored PowerPC architecture to the Intel x86 architecture, because the future PowerPC road map was unable to satisfy Apple's needs. The first Macintosh computers containing Intel CPUs were announced on January 10, 2006, and Apple’s entire line of consumer Macs was running on Intel processors by early August 2006. The Apple Xserve server was updated to Intel Xeon processors beginning in November 2006, and is offered in a configuration similar to Apple's Mac Pro. In 2005, Intel CEO Paul Otellini reorganized the company and refocused its core processor and chipset business on platforms (enterprise, digital home, digital health, and mobility), hiring over 20,000 new employees. In September 2005, as profits fell, the company announced a restructuring that resulted in layoffs of 10,500 employees, or about 10 percent of its workforce, by July 2006. Its research lab located at Cambridge University was closed at the end of 2006. On June 27, 2006, Intel announced the sale of its XScale assets to Marvell Technology Group for an estimated $600 million in cash and the assumption of unspecified liabilities. The acquisition, intended to allow Intel to concentrate its resources on its core x86 and server businesses was completed on November 9, 2006. Originally, Gordon Moore and Robert Noyce wanted to name their new company "Moore Noyce." The name, however, was ill-suited for an electronics company because it sounded remarkably similar to "more noise," and “noise” in the electronics industry is a term for interference. They used the name NM Electronics for almost a year, before deciding to call their company INTegrated ELectronics or "Intel" for short. The name “Intel” had already been trademarked by a hotel chain, so they purchased the rights to it. Intel microprocessor facility in Costa Rica was responsible in 2006 for 20 percent of Costa Rican exports and 4.9 percent of the country's GDP. Intel's market capitalization as of November 6, 2008 was $77.14 billion. On July 15, 2008, Intel announced that it had achieved the highest earnings in its history during the second quarter of 2008. In December 2007, Intel had nearly 86,300 employees and 200 facilities world wide. Its 2007 revenues were $38.33 billion and its Fortune 500 ranking was 60th. Its stock symbol is INTC, listed on the NASDAQ. Unlike many Silicon Valley technology companies, Intel is known for promoting executive leadership from within. Paul Otellini, Intel’s fifth CEO, was a 30-year veteran of the company, and all of his top lieutenants have risen through the ranks after many years with the firm. Many of Intel's top executives have spent their entire working careers with Intel. To promote egalitarianism among employees, no Intel employee has an office; everyone, even the CEO, works in a cubicle. Outside of California, the company has facilities in China, Costa Rica, Malaysia, Mexico, Israel, Ireland, India, Philippines, Poland, Russia, and Vietnam internationally. In the U.S. Intel employs significant numbers of people in California, Colorado, Massachusetts, Arizona, New Mexico, Oregon, Texas, Washington, and Utah. Intel is Oregon’s largest employer with over 16,000 employees, primarily in Hillsboro. The company is the largest industrial employer in New Mexico, while in Arizona the company has over 10,000 employees. During the 1980s, Intel was among the top ten worldwide semiconductor sales leaders (tenth in 1987), dominated by Japanese chip makers. In 1991, Intel achieved the number one ranking and has held it ever since. Other top semiconductor companies include AMD, Samsung, Texas Instruments, Toshiba and STMicroelectronics. Competitors in PC chipsets include VIA Technologies, SiS, ATI, and Nvidia. Intel's competitors in networking include Freescale, Infineon, Broadcom, Marvell Technology Group and AMCC, and its competitors in flash memory include Spansion, Samsung, Qimonda, Toshiba, STMicroelectronics, and Hynix. The only major competitor to Intel on the x86 processor market is Advanced Micro Devices (AMD), with which Intel has had full cross-licensing agreements since 1976: each partner can use the other's patented technological innovations without charge after a certain time. However, the cross-licensing agreement is canceled in the event of an AMD bankruptcy or takeover. Some smaller competitors such as VIA and Transmeta produce low-power processors for small form factor computers and portable equipment. Intel's dominance in the x86 microprocessor market led to numerous charges of antitrust violations over the years, including FTC investigations in both the late 1980s and in 1999, and civil actions such as the 1997 suit by Digital Equipment Corporation (DEC) and a patent suit by Intergraph. Intel's market dominance (at one time it controlled over 85 percent of the market for 32-bit PC microprocessors) combined with Intel's own aggressive legal tactics (such as its infamous 338 patent suit against PC manufacturers) made it an attractive target for litigation, though few of the lawsuits ever amounted to anything. AMD, Intel’s largest competitor, has filed a number of antitrust lawsuits and initiated official investigations into Intel’s anti-competitive practices by regulatory bodies in Japan, the European Union, South Korea and the United States. AMD alleges that beginning in 2003, Intel gave preferential prices to computer makers who purchased most or all of their microprocessors from Intel, paid computer makers to delay or cancel the launch of products using AMD chips, and provided chips at prices below cost to governments and educational institutions. Intel has responded by defending its marketing practices and attributing AMD’s failure to gain market share to incompetent management and poor business decisions including underinvestment in essential manufacturing capacity and over-reliance on contracting out chip foundries. In 2005 the Japanese Fair Trade Commission concluded that Intel had violated the Japanese Antimonopoly Act and ordered Intel to eliminate discounts that discriminated against its competitor Advanced Micro Devices. To avoid a trial, Intel agreed to comply with the order. In July 2007, the European Commission formally accused Intel of anti-competitive practices, mostly against AMD. In February 2008, Intel reported that it was cooperating with European Union investigators who had seized documents from Intel's office in Munich. In June 2008 the EU filed new competition charges against Intel. If found guilty of stifling competition, Intel could be fined up to 10 percent of its annual revenue. In June 2008, South Korea's Fair Trade Commission fined Intel US$25.5 million for taking advantage of its dominant position to offer incentives to major Korean PC manufacturers who agreed not to buy products from rival AMD. In the United States, the state of New York started an investigation of Intel in January 2008 on whether the company violated antitrust laws in pricing and sales of its microprocessors. In June 2008, the Federal Trade Commission opened a formal antitrust investigation for this case. In October 2007, a lawsuit filed by Transmeta against Intel for patent infringement covering computer architecture and power efficiency technologies was settled, with Intel agreeing to pay an initial US$150 million and US$20 million per year for the next five years. Both companies agreed to drop lawsuits against each other while Intel was granted a perpetual non-exclusive license to use current and future patented Transmeta technologies in its chips for ten years. A case of industrial espionage in 1995 involved both Intel and AMD. Guillermo Gaede, an Argentinian formerly employed both at AMD and at Intel's Arizona plant, was arrested for attempting in 1993 to sell the i486 and Pentium designs to AMD and to certain foreign powers. Gaede videotaped data from his computer screen at Intel and mailed it to AMD, which immediately alerted Intel and authorities, resulting in Gaede's arrest. Gaede was convicted and sentenced to 33 months in prison in June 1996. Residents of Corrales, New Mexico, have complained that toxic emissions from Intel’s facility in Rio Rancho, New Mexico have caused health problems in both animals and humans. The hilly contours of the site create channels for chemical gases heavier than air to move along arroyos and irrigation ditches. Intel reported volatile organic compound (VOC) releases of more than 1580 pounds for June- July 2006. Intel created the Classmate PC, formerly known as Eduwise, as a low-cost personal computers for children in the developing world, resembling the One Laptop Per Child (OLPC) trade association's Children's Machine (XO). Although made for profit, the production of the ClassmatePC is considered an Information and Communication Technologies for Development project. The device falls into a newly defined category of netbooks. The Classmate PC is a reference design by Intel. Intel does not build the subnotebooks, but does produce the chips that power them. The reference design is then used by original equipment manufacturers (OEMs) worldwide to build their own branded Classmate PC. Intel works with governments, development agencies, non-governmental organizations, educators, and local technology providers to empower schools, communities, and countries to improve the quality of education and equip citizens to compete successfully in the global knowledge economy. The Intel Education Initiative has invested over US$ 1 billion in more than 50 countries on seven continents and helped train four million teachers in more than 40 countries, with a goal of training a further 9 million teachers and reaching another one billion students by 2011. Intel is the leading employer in the city of Rio Rancho, New Mexico. In 1997, Rio Rancho High School was constructed through a community partnership between Sandoval County and Intel Corporation. Like many manufacturers of computer electronics, Intel has a stated commitment to reducing the use of plastic and paper in its product packaging, designing energy-efficient products, recycling electronic waste, and reducing toxic emissions during its production processes. In collaboration with industry and education organizations, Intel founded Students using Recycled Technology (StRUT) in 1995, a program which sends re-usable electronic equipment to schools where students gain valuable skills sorting, repairing, and refurbishing it. ↑  AMD wins 2006 revenue battle with Intel, iSuppli says. accessdate January 7, 2009. ↑ INTEL CORP (Form: 10-K, Received: 02/27/2006 06:02:42). 2005-12-31 United States Securities and Exchange Commission accessdate 2007-07-05. ↑ Jobs: New Intel Macs are 'screamers' news.com. Retrieved January 6, 2009. ↑ Theo Valich, Secret of Intel name revealed. The Inquirer 2007-09-19 Retrieved January 9, 2009. ↑ Intel posts record-breaking Q2 earnings ARStechnica.com. Retrieved January 9, 2009. ↑ Fortune 500 CNN Money. Retrieved January 4, 2009. ↑ Elizabeth Suh, Home of Oregon's largest employer and much more. The Oregonian, October 28, 2007. Retrieved January 6, 2009. ↑ Nicholas Confessore, Intel Gets New York Subpoena in Antitrust Inquiry New York Times (January 10, 2008) Retrieved January 6, 2009. ↑ Roberta King, Intel Pollution Unresolved Corrales Comment (November 25, 2006) Retrieved January 6, 2009. ↑ Intel Pollution Control Shut Down Probed (December 11, 2006) SWOPblogger. Retrieved January 6, 2009. ↑ Advancing the Effective Use of Technology for Teaching and Learning Intel.com. Retrieved January 6, 2009. ↑ Product Design Lifecycle Intel.com. Retrieved January 6, 2009. This page was last modified on 3 March 2018, at 22:02.